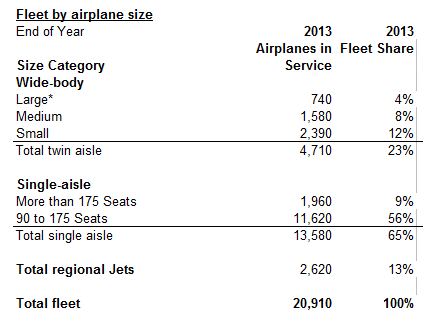 Were any predictions made on the amount of travel, for example revenue passenger kilometres? Those predictions could be correct, but the plane numbers wrong (eg two 150 seat planes provide the same APK as one 300 seat plane). 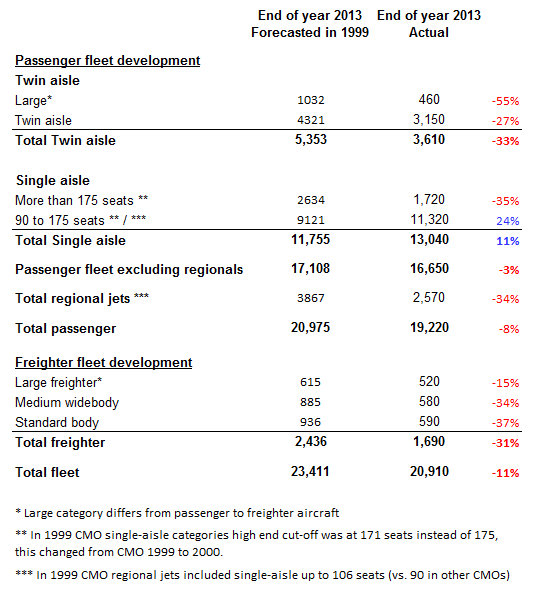 CMO 1999 forecast for 2013: 6,078 billions RPKs. CMO 2014 actuals from 2013: 5,898 billions RPKs. That is, 3% less traffic than forecasted (vs. 11% smaller fleet). Meaning that there is indeed the effect of what you suggested. But it is puzzling that the fleet is smaller in numbers than what the smaller traffic suggests and however there are more single-aisle and less wide-bodies than forecasted. 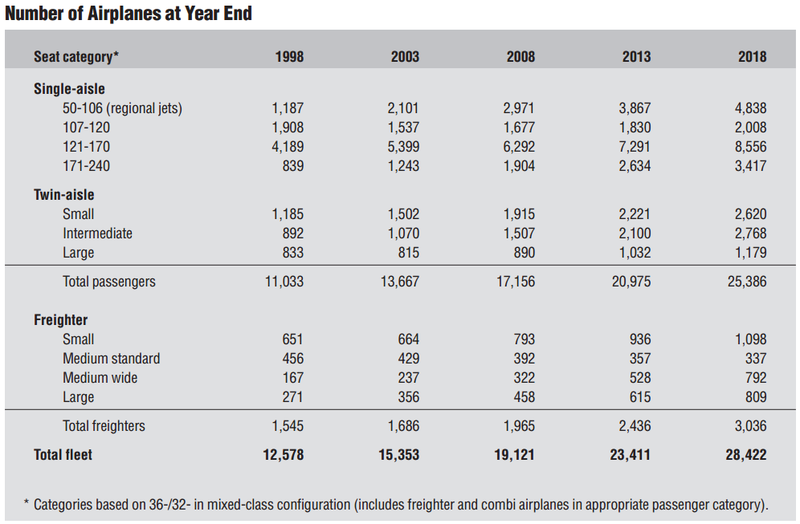 That should point at a larger average size of aircraft in each of the segment, but Boeing claimed the contrary 2 years ago (https://theblogbyjavier.com/2013/10/18/is-the-average-aircraft-size-decreasing-or-increasing-by-25/).